With spring, comes the season for off-road adventures. When you really want to tear up a gravel road or a muddy field, aftermarket mods give you the best off-road performance. But which modifications give you the best experience when you want some adventure? If you really want to push your vehicle to the limits, read about these modifications and find one that's perfect for you. Wheel spacers are an easy way to give your vehicle an edge in the fields. They’re easy to install and give your vehicle a subtle boost. Putting a wheel spacer in allows widens the stance of your vehicle. In addition to getting an aggressive appearance, this gives you superior handling. Wide stances allow you greater control over turning and steering. While a simple wheel spacer won’t make the biggest impact in the world, it’s a good place to start. You don’t want to invest in a more complicated mod until you know how your vehicle will handle with a simple tune up. Some vehicles don’t need more than that. 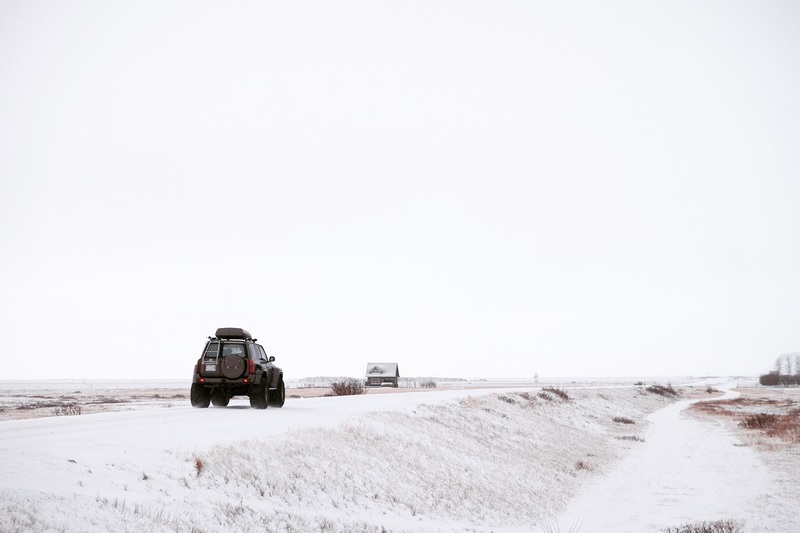 You need the right tires when you’re taking your vehicle off the beaten path. 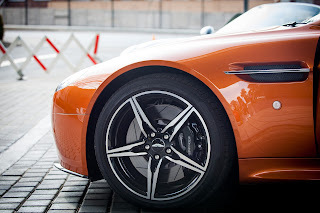 While larger tires are often better, you’re going to need to make a lot of other modifications to your vehicle to be able to sport the largest set. Unless you want to invest in a lift kit (and much more), consider only sizing up a size or two. Instead, look for the best tires with the tread that you want. The better a vehicle handles on the street, the less its tires are suited for mudding. Choosing the right tire is a matter of considering the trade-offs. If you have to commute in the same car you off road in, you can’t go all the way to off road gear. You can, however, get good off-road performance and good city driving—just not at the same time. If you’re going to take your vehicle out into the wild, you have to focus on your brakes. This is especially true if you’re using wheel spacers and/or larger tires. Anything that changes the way your tires fit can affect your brakes. The most common issue with modified tires is a shorter lifespan for your brakes. If you’re riding them hard off road, you need to inspect them more regularly than you otherwise would. You can also consider building in larger, sturdier brakes, especially if you’re running through factory-issue builds too quickly. Sometimes the biggest choices you make are also the smallest. None of these mods would be possible without strong lug nuts. The right lug nut can hold your tire firmly in place even when you’re using a wheel spacer. It can hold a wheel adapter in place so you can run the tires you want on your rig. If your lug nuts are weak, your mods become a threat to your off road performance and your safety. Make sure you invest in the best lug nuts. These four modifications will improve your off road performance. The right lug nuts will keep everything stable so your parts perform to the best of their abilities. Good brakes will keep you safe and give you more control. Wheel spacers and tire modifications give you that extra edge that keeps you competitive. You might have noticed that larger vehicles have more lug nuts than smaller ones. Take a look at a large 18-wheeler truck and compare its wheels to those of a normal sedan. Where the latter has about five small lug nuts, the former has six or more. Lug nuts are used to hold your wheel on your vehicle securely and safely. However, does the number of lug nuts you have on each wheel truly matter? Can you drive your car with only four of the five nuts if one breaks off? The answers to these and more are below. Lug nuts aren’t just there for fun. These little parts of your car are among the most important. Without lug nuts to hold them in place, your wheels would just slide off the moment you started moving. These nuts come under extreme amounts of stress because of their position and purpose. Because heavier vehicles place heavy loads on their lug nuts and studs, they need more of them on their wheels. Car manufacturers design lug nuts to handle a very specific load. This load is designed to be distributed evenly across each lug nut in the wheels, without any changes. If you drive without one or some of the nuts in your wheels, you’re forcing that load to be distributed across the remaining nuts. This forces them to work much harder than they were ever meant to. Over time, the remaining nuts and studs start to show signs of wear and tear. You can drive for a few days without one lug nut, but you should inspect your axles and studs when you replace the missing lug nuts. When lug nuts are missing on one of your wheels, the wheel hub starts to feel the imbalance in pressure. The instability of the wheel hub results in more pressure being applied to the bearings of the wheel with the missing lug nut. This causes the bearings to wear down faster over time. If you haven’t done so already, know that the repair of your wheel bearings can be a pretty expensive task. Driving with less than the adequate number of lug nuts for your car can be very costly indeed. Among the many dangers of driving without all your lug nuts is the tendency of your car to start wobbling like a roller coaster ride. The pressure on your wheels is meant to be evenly distributed across all four wheels and their lug nuts. With one missing, your pressure doesn’t get distributed evenly, especially when you’re turning, braking, and acceleration. In time, the added pressure and vibrations can cause your other nuts to shake themselves loose. In some instances, your lug studs could snap off due to the pressure. The bolt holes on your wheels could elongate too. When any of this happens, your wheel could fall off, resulting in a crash. Are you currently missing one of your lug nuts? There is no excuse for driving without one. You need to replace any missing lug nuts as soon as you can. While you’re waiting for one, drive extremely cautiously. Keep your speed low, accelerate and brake slowly, and take corners less aggressively. Any missing lug nuts can result in instability, broken studs, worn bearings, and worn lug nuts. If you don’t know how many lug nuts you have, check on them now and remember to check regularly for missing nuts if you don’t have an indicator.